For the past three years, True Creations has made collectible drop spindle Christmas tree ornaments. 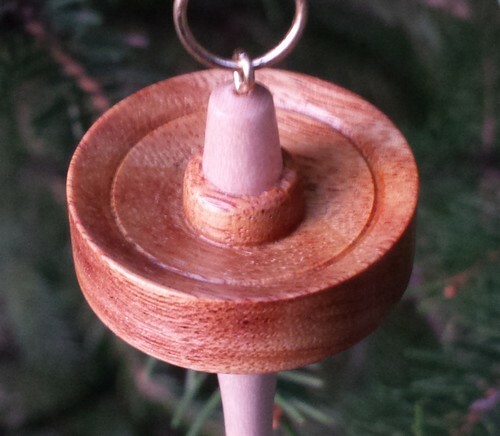 The 2015 ornament features a whorl made from Canarywood with a maple shaft. These little beauties are about 4 inches long and 1 inch in diameter. Canarywood is one of our favorite woods because of its beautiful color and striking grain. In 2014 we made ornaments with Paela whorls and in 2013 Walnut whorls. These ornaments make great gifts for all your spinning friends and family. Merry Christmas and I hope you have a healthy and prosperous 2016!